Posted in: Real Estate News. Tagged: agent, century 21, exclusively inverness, exclusivey inverness business directory, fall 2015, home sales, Homes for sale, homes in inverness, inverness, inverness il, inverness illinois, inverness magazine, issue, magazine, real estate, the pinnacle group. We just put out our Exclusively Inverness Magazine, Fall 2015 issue, and it will be showing up in the mail soon. 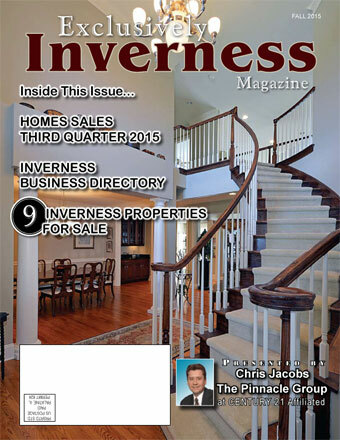 This issue features 9 properties as well as Inverness’ 3rd quarter home sales and the Exclusively Inverness Business Directory. If you have not seen a copy of it, you can view a digital version at www.ExclusivelyInverness.com or the pdf version by clicking here. If you would like your home in our next issue or for any of your real estate needs, call us at 847-963-0400 or visit our website at www.InvernessForSale.com.